‘Vikings’ is back for a fifth season, with all-new family feuds, love triangles and bloody battles! Delving deep into the ancient sagas, ‘Vikings’ is the thrilling tale of paranoia, revenge and bloodshed as the Norse hero Ragnar Lothbrok fights to assert himself as the descendant of Odin and King of the Viking tribes. To celebrate the new season starting on Tuesday 16th April, we’ve teamed up with HISTORY to give you the chance to win £1,000! All you have to do is scroll down and answer the question below. Our favourite Norse heroes are back from 16th April with a brand-new series of ‘Vikings’ on HISTORY. The critically-acclaimed drama follows the legendary Norse warrior Ragnar Lothbrok and his sons as they battle for power over the Viking tribes. Now the saga continues, with startling alliances and unbelievable betrayals as the Vikings fight to rule the world. Will Ivar the Boneless assert his leadership over the Heathen Army? What does the future hold for Ragnar’s sons? Find out on Tuesdays at 9pm on HISTORY. 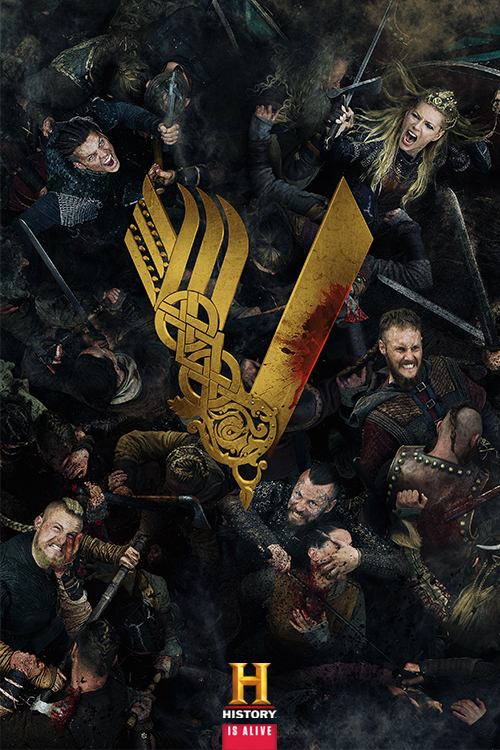 You could win £1,000 cash, with the new series of ‘Vikings’ on HISTORY. All you have to do is answer the question below before 23:59 on Sunday 12th May 2019. T&Cs apply. Q: From which god is Ragnar Lothbrok said to be descended? I want to find out more about The History Channel .